If you are a family of 4, then on average you could be spending $200 or more a year on toilet paper alone, which is about 183 rolls a year, more or less. So why would you want to do this? Most likely, you are like most people and are unaware of how much you use or how you would even begin to reduce the amount you use. So what are the benefits of Toilet Paper reduction? 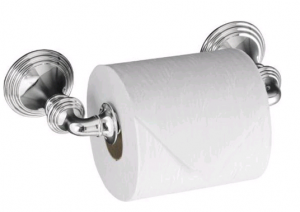 Starting with the obvious, it would be clear that using a bidet could reduce your toilet paper use substantially. So how much do people save when using a bidet toilet seat? The short answer is, it depends. Some people stop using any toilet paper when using the bidet toilet, but instead, they use the heated air dryer that bidets offer and some people will use toilet paper to dry themselves. So if you do use toilet paper to dry yourself, you could save up to 75%, but this can vary wildly depending on the person. But for sure you are going to save toilet paper and money at some level. If you have been thinking about going Green, then this is just another reason to do so. Because every year millions of trees cut down for toilet paper use along. It takes about 37 gallons of water to make just one roll of toilet paper, so for people like myself who live in California that are in a stage III drought, we need all the help we can get. I found an interesting article on the World Watch site about this very topic that I thought you would find interesting too. They also talk about the idea of promoting personal washing after using the toilet as a means to cut toilet paper use. Here is a link to that article and please read it all http://www.worldwatch.org/node/6403. Your Bum Bum (Men and Women) and lady parts are really going to be happy too, but maybe your Doctor not so much. I cannot tell you how many times my customers have told me what an amazing difference a bidet toilet seat has made in their life and the comfort they experienced after use. It is really life changing for a lot of people and has saved them money on medical cost too. Even if you don't have any problems, it could keep you from getting any rather embarrassing problem and you will love the comfort and cleanliness they offer, who knows, you might even help the environment, too. Would love to hear your feedback and contact me anytime help choosing a bidet that will best fit your needs.